Free detailed estimates with no sales pressure... ever. A professional installation by experienced installers and artisans who are full time employees. We do not use subcontractors. A locally owned company serving Sacramento Valley and Foothills with integrity and values since 2007. 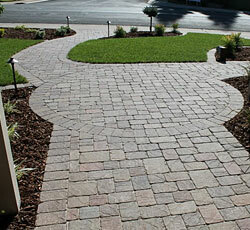 We offer pavers from all the leading paving stone manufacturers. Prices that are fair, reasonable, and competitive 365 days a year! Polymeric sand filled joints standard on all installations. No messy sand. 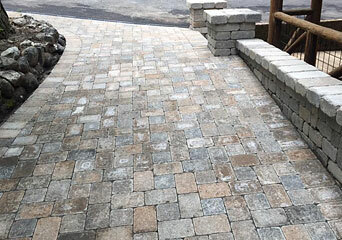 25 year warranty on every paver installation. Professional custom designed and built retaining and sitting walls. 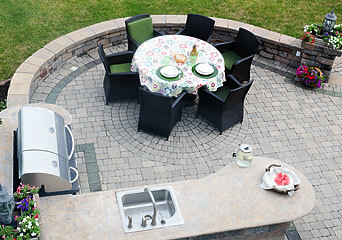 The creation of a beautiful new face on your outdoor space that will last for years and enhance the value of your home. 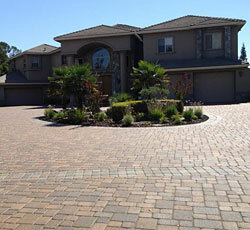 Pavers are interlocking formed pieces of concrete that are available in a wide variety of patterns, colors and styles. 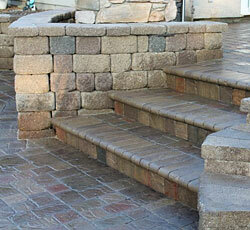 They are often used for driveways, patios, walkways, sidewalks, courtyards and even pool decks. We will do everything we can to make your project run smoother. Our experienced staff is available to assist you in product selection and can help you with all aspects of your construction project. 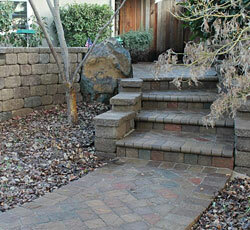 Retaining walls are a great way to enclose a garden area or level a steep slope on your property. 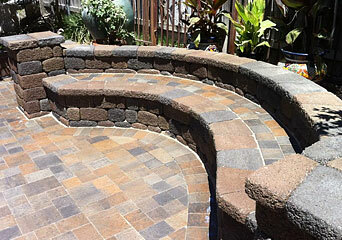 Seating walls are perfect for gardens or backyard patios and offer comfortable sitting areas that add to the landscape.